The defeat of King Rastakhan at the hands of the Alliance sets the stage for retaliation by the Horde. In this final chapter of the Battle of Dazar’alor, Alliance players will play through the events from the perspective of the Horde. Raid Finder Wing 3 is now open to players who have reached level 120 and have a minimum item level of 350. To queue for this new adventure, simply join through Group Finder (I) as either a healer, tank, or damage dealer. Learn more about each of the bosses in this wing through the Adventure Guide (Shift-J) in the Raids tab. 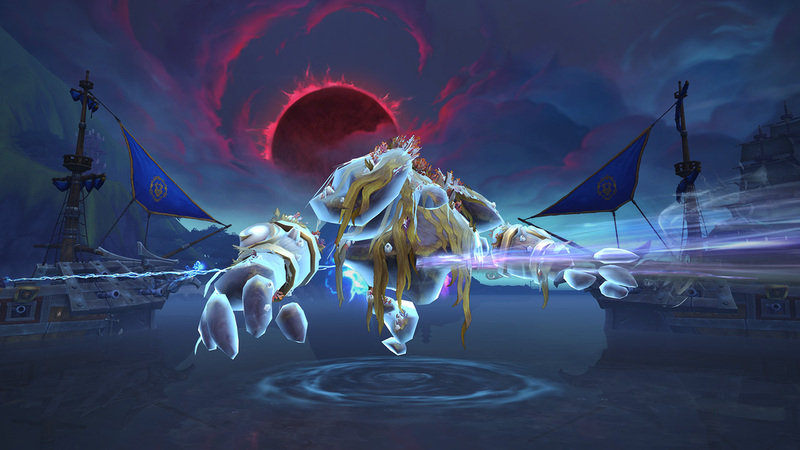 In the final act of the Battle of Dazar’alor, Victory or Death, the Horde attempts to push the Alliance back from the High Seat—eventually confronting several key Alliance leaders. King Rastakhan has been slain, and those responsible must be brought to justice before they can escape. 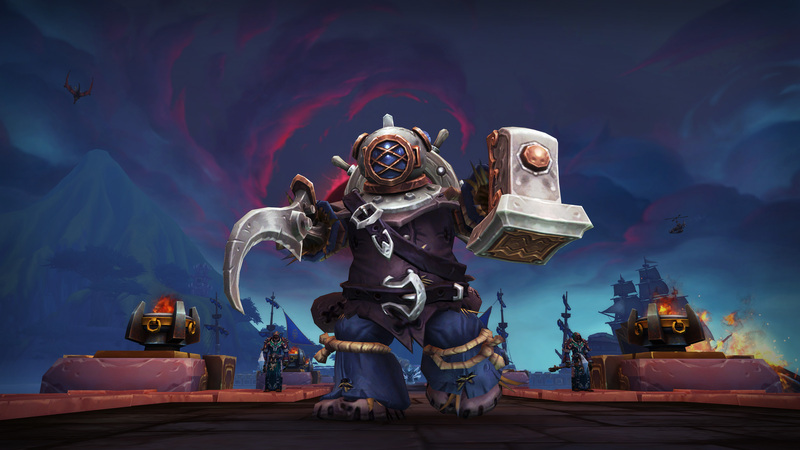 Unrivaled in their ingenuity, Gelbin Mekkatorque’s inventions have been instrumental to the Alliance’s attack on Dazar’alor. His state-of-the-art armor is outfitted with the latest—and deadliest—ordnance that gnomish engineering can offer. Brother Joseph and Sister Katherine are devout worshippers of the waves. 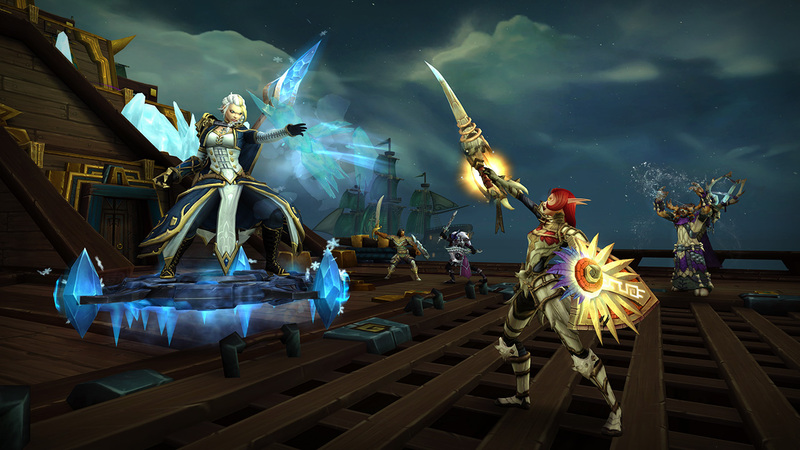 These proud Kul Tirans would gladly risk their lives to ensure the safety of their compatriots. Their command over sea and storm is awesome to behold, as are the ancient and powerful rituals they practice. As the Alliance fleet withdraws from Dazar’alor, Lady Jaina Proudmoore stays behind with a handful of Kul Tiran vessels to slow the Horde’s pursuit. Storm clouds gather overhead as Jaina leads her pursuers deeper into the Great Sea, where she will attempt to turn the odds in her favor. 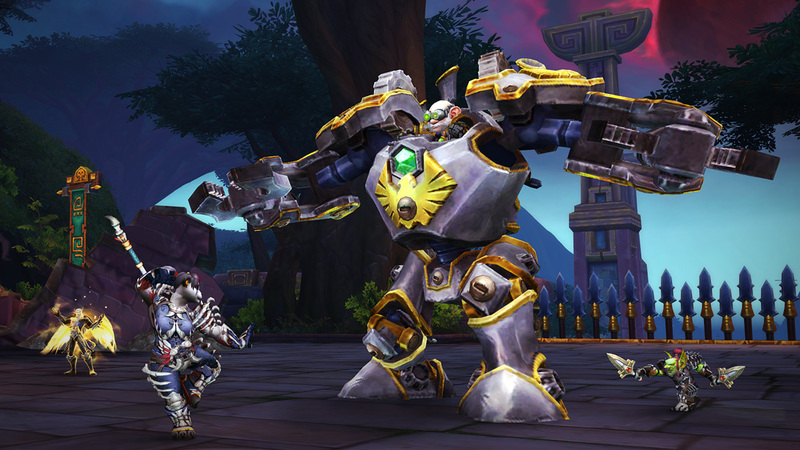 Dark Iron Dwarf: Players of this Allied Race will change into Mag'har orcs except for paladins, who will change into tauren, and warlocks, who will turn into orcs. Draenei: These players will transform into tauren, save for mages, who will become orcs. Dwarf: Most dwarves will turn into orcs; paladins will become tauren, priests will become undead. Gnome: These players will transform into goblins, except for monks, who will become blood elves. Human: Most humans will become undead, but paladins will become blood elves. Lightforged Draenei: This Allied Race will change into tauren except for mages, who will change into orcs. Night Elf: Night elf players will transform into trolls, except for demon hunters, who will become blood elves. Void Elf: Players of this Allied Race will change into trolls except for priests, who will become blood elves. Worgen: All worgen players will transform into trolls. Witness the Horde's savagery as they strike at the valiant heroes of the Alliance.